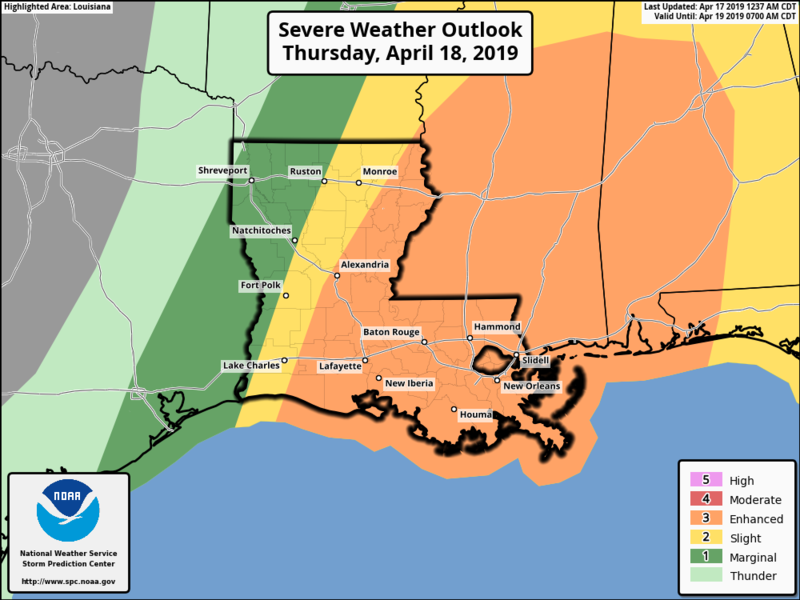 The National Weather Service’s (NWS) Storm Prediction Center predicts an enhanced risk of severe thunderstorms across Louisiana on Thursday, including New Orleans. Wind gusts in excess of 60 mph. This can knock down trees and cause damage to homes and businesses. The greatest risk of storms is expected to occur between noon and 7 p.m. on Thursday. Residents are encouraged to stay weather aware. 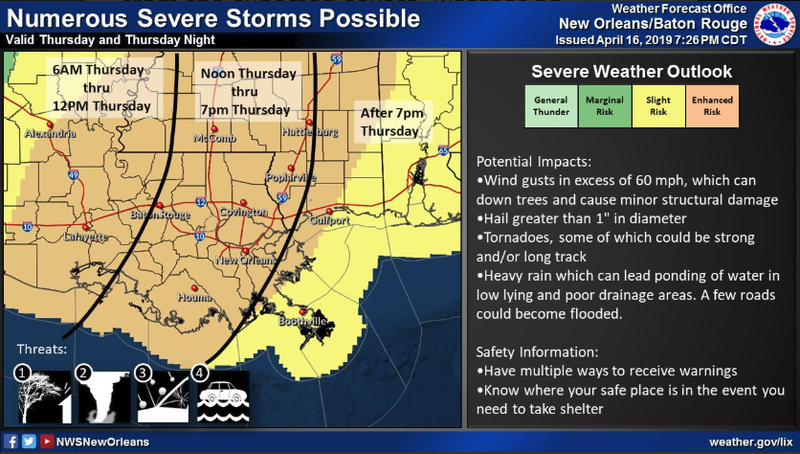 Keep cell phones charged, and sign up for weather alerts through the NOLA Ready system. 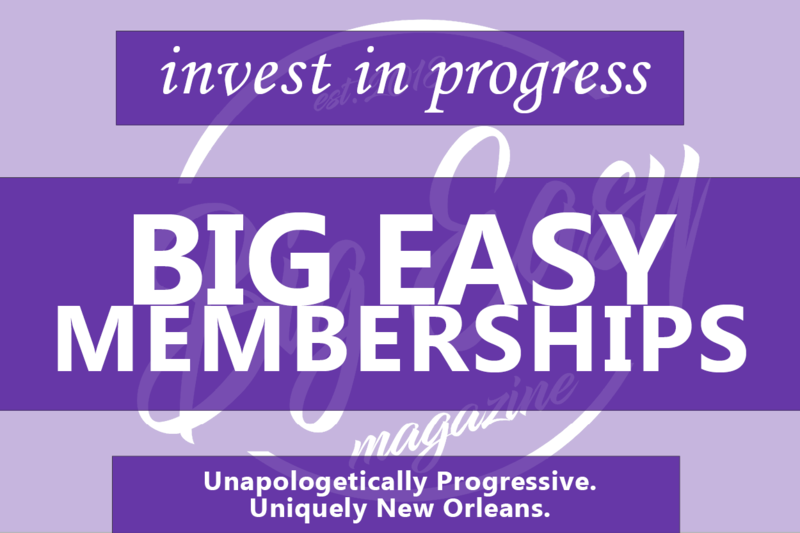 You can do this online, or by texting your zip code to 888777. 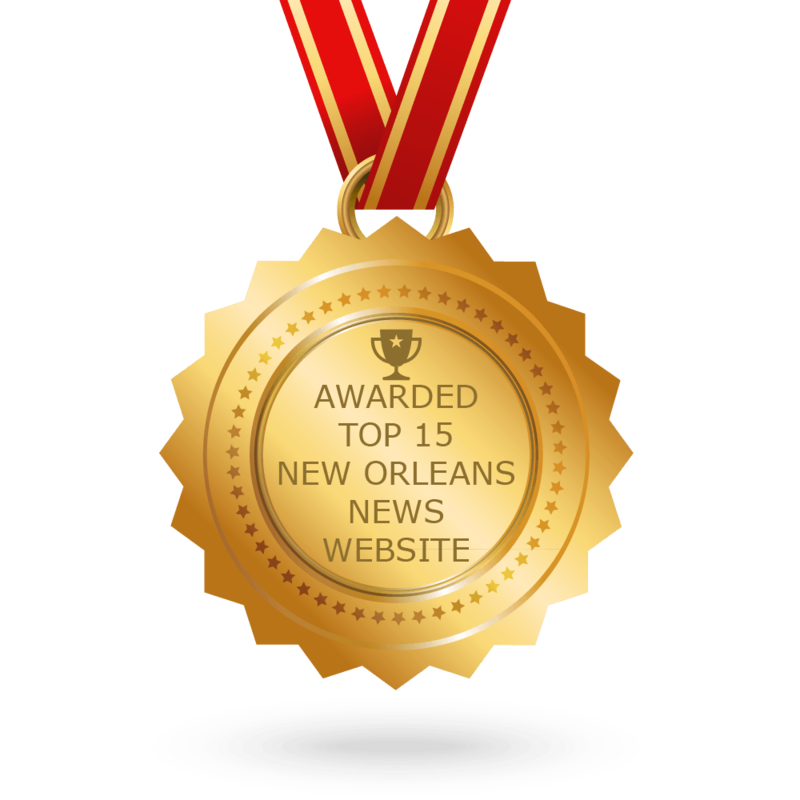 Once the weather event begins, you can keep an eye on street flooding and other road conditions by visiting streetwise.nola.gov. Probability of severe weather within 25 miles. Hatched area shows a 10% or greater probability of significant severe weather within 25 miles. Image courtesy of the National Weather Service. If you have a NOAA Weather Radio, be sure that it has fresh batteries and is correctly tuned to KHB43, the local NOAA Weather Radio forecast channel (you can find information on how to program your weather radio here). If you are close enough to the storm to hear thunder, you are close enough for a lightning strike. “If you hear thunder roar go indoors.” Stay inside for 30 minutes following the last clap of thunder. Never approach or attempt to touch downed power lines. If you see a downed power line, contact 311 24/7 to report the location. In the event of a flash flood, do not attempt to walk through moving water – even 6″ can make you fall, and flood water can be contaminated with dangerous substances. “Turn around, don’t drown!” Do not attempt to drive into flooded areas or roadways, and never drive around emergency barricades. Plan alternative routes ahead of time if your commute is likely to be affected by flooding. If you encounter major street flooding, call 9-1-1 to report it. Check catch basins near your home and workplace, and clear any trash or debris that you find before the storms begin. Remember, never lift the lid of a catch basin. Remove debris from your gutters and downspouts. Secure or bring in any garbage bins, outdoor furniture, and other items before the storms are expected to begin. These can easily become hazards in high winds. In the case of a tornado, move to an interior room or hallway on the lowest level of your home. Stay away from windows, doors, and outside walls. The enhanced risk of storms is two steps above the marginal risk that occurred over the last couple of weeks. Area-wide, the average rainfall is expected to be between one and three inches, with locally higher amounts possible.